Thanks to Morgan Cuthbert for providing this fascinating update! 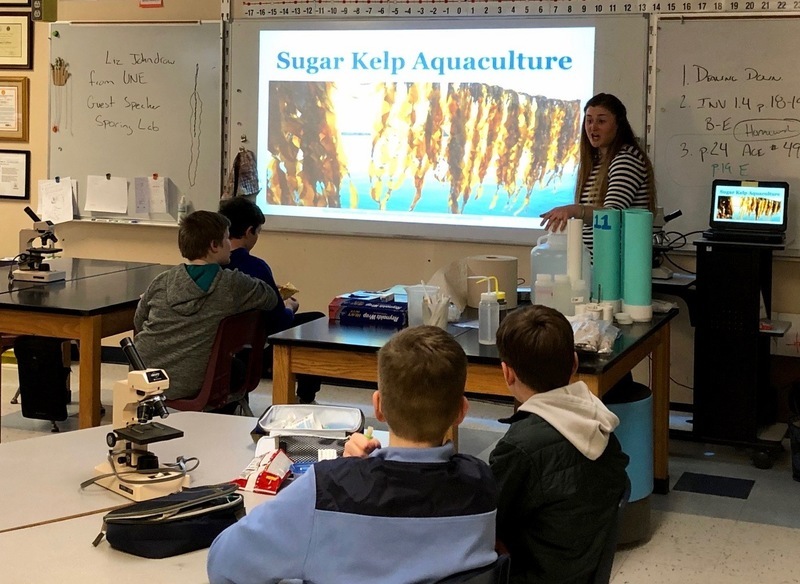 Liz Johndrow, a scientist from the University of New England, visited with the 7th-grade science team to teach them about sporing kelp tissue. 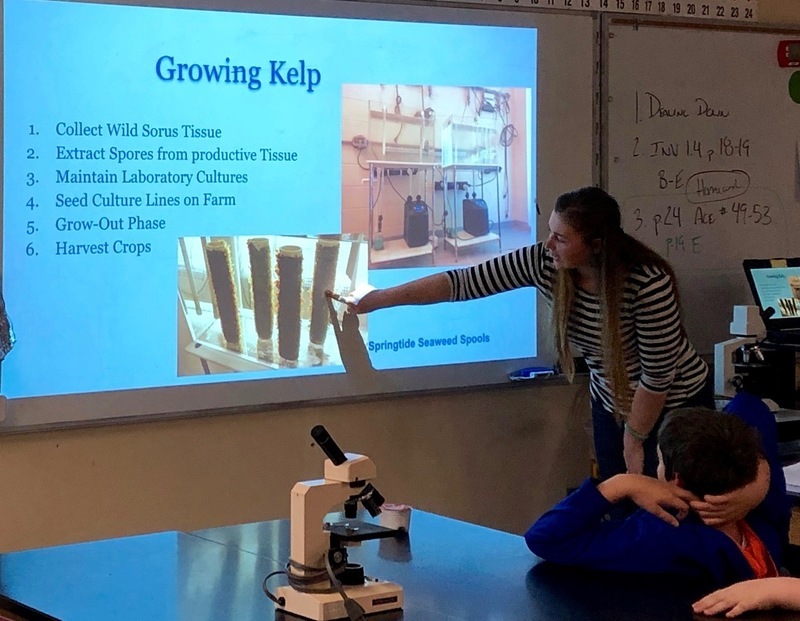 Her visit was timely as the 7th-grade students were studying asexual and sexual reproduction, as well as life cycles of organisms. Liz explained the importance of kelp in our marine environment and how it sequesters carbon as well as providing oxygen into an ecosystem. Students prepared sorus tissue samples to distress them and then release the spores of the kelp into samples of seawater. string and grow. When the optimal growth has been reached the string will be provided to a local sea farmer and the kelp will grow there until April when it will be harvested. The growth of the kelp can be up to 3 meters long!